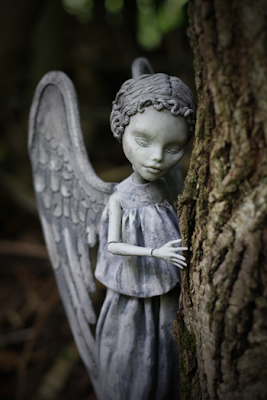 This Weeping Angel is a one-of-a-kind creation made from a Monster High Ghoulia doll. The artist added hair sculpted from clay, and plastic wings. This is so cool, and geeky!